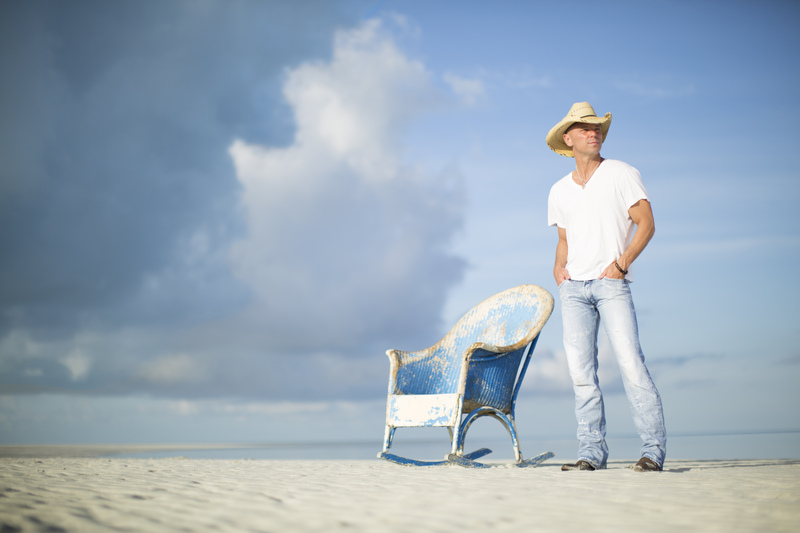 Kenny Chesney finished his 60-show Big Revival Tour on August 28th and is now relaxing by the ocean and thinking about the future. It is widely known that Kenny Chesney loves the beach. The “American Kids” singer always follows up a tour with some much needed R&R on his boat, usually within 24-hours of the last show. His most recent Big Revival Tour was no different, and with all the record-breaking shows, he absolutely earned it. “The end of the tour is a lot like the last day of school,” Chesney tells Rolling Stone. Where do you go when there is “nowhere to go”? To the ocean of course! “The last 15 years of my life, the very next day after the last show, I fly south and wake up and get on my boat, and I can hear the ringing in my ears from all summer,” Chesney reveals. Chesney kicked off his massive tour on March 26 (his 47th birthday) and ended with a bang at Gillette Stadium in Foxboro, Mass. where he broke an attendance record, playing to over 120,000 fans. “What I hoped would happen with my audience and this record and this tour and where I am in my life and my career. . . I felt like it couldn’t have gone any better, as far as people connecting with it,” Chesney reflects. Now, Chesney is looking towards the future, a future that might include an international tour and a more intimate fan experience. Chesney is also considering a small venue tour that would coincide with a stadium run where he would play lesser-known and more reflective songs at a theater mid-week before hitting up a stadium on the weekend. Chesney’s R&R won’t last long, The “Save It for a Rainy Day” singer will appear at the 2015 iHeartRadio Music Festival later this month in Las Vegas.